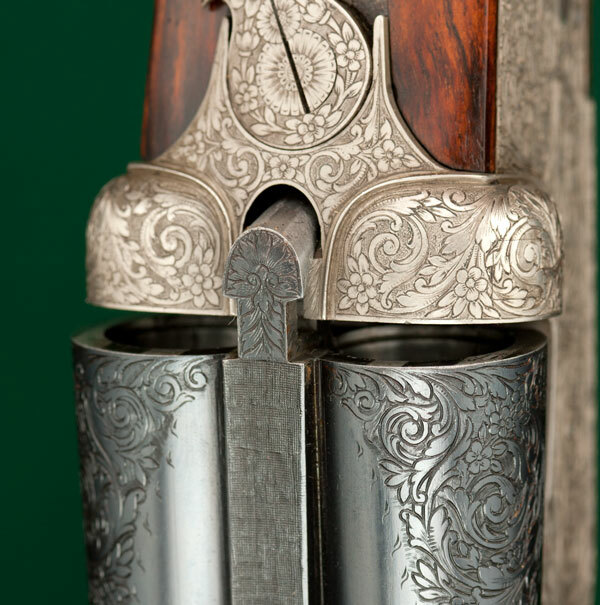 Doll's Head - An extension of the top rib on a break-open gun, ending in a circular or semi-circular shape, as seen from the top, resembling the head of a doll, mating into a similarly-shaped recess in the top of the receiver, designed to resist the tendency of the barrels to pull away from the standing breech when firing. 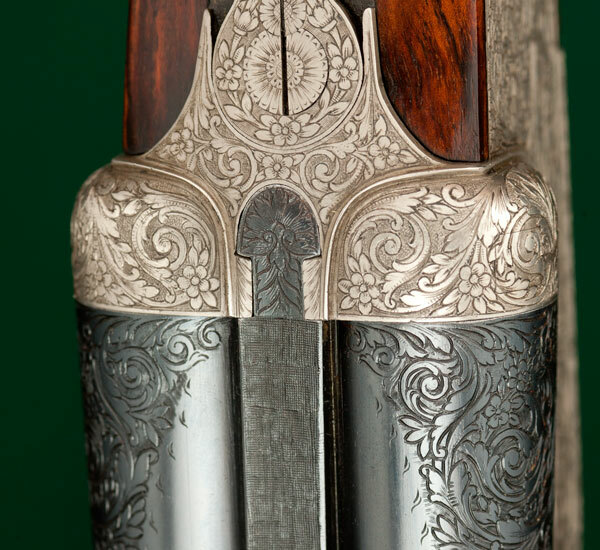 Developed by Westley Richards. Doll's head extension, closed. Doll's head extension, opening. 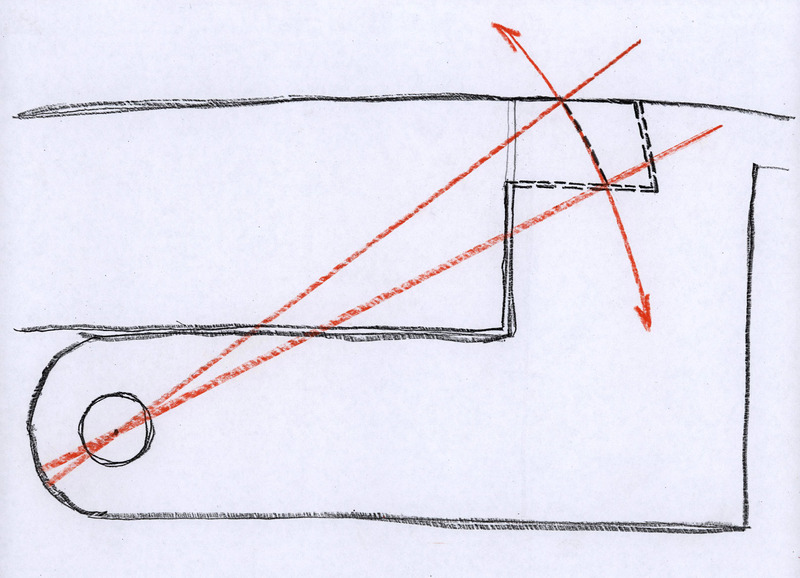 The fulcrum of an action opened normally is at the hingepin. The geometry of a properly-designed doll's head extension is contoured to offer no resistance to opening the gun in the normal manner. When dropping the barrels, the doll's head passes effortlessly along the arc of the radius about the hingepin---as delineated with the orange lines. 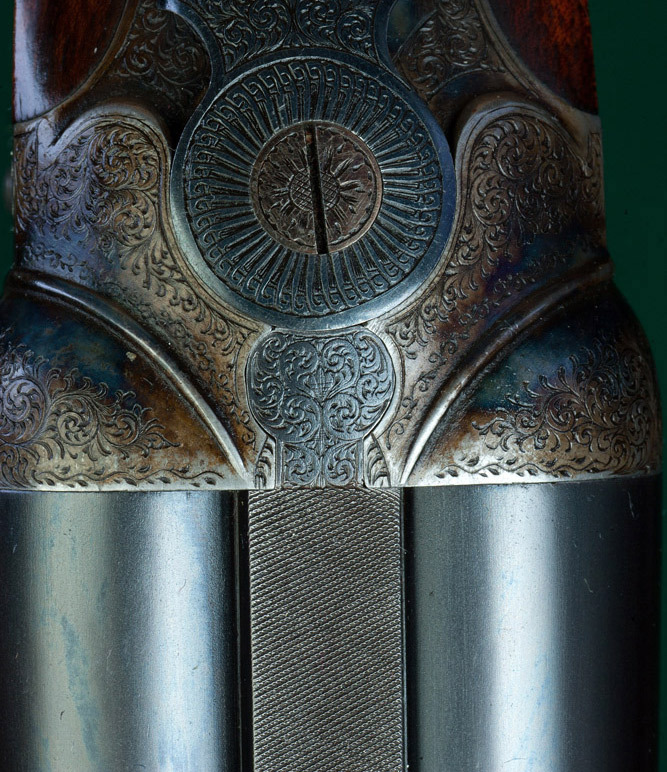 The fulcrum of an action under the stress of firing is at the base of the standing breech. 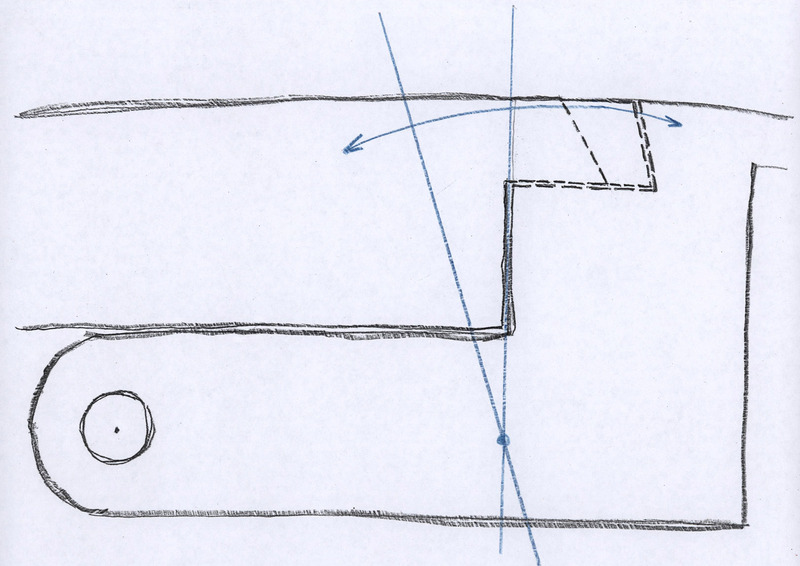 Even without any extra mechanical latches, the geometry of a properly-designed doll's head extension stoutly resists the forces generated under discharge of the barrels to pull forward along the arc of the radius about the base of the standing breech---as delineated with the blue lines.